When will be Detroit Steel next episode air date? Is Detroit Steel renewed or cancelled? Where to countdown Detroit Steel air dates? Is Detroit Steel worth watching? Mobsteel's newest build is a 1979 Ford Bronco – but their client is going to be tough to impress. Adam and the gang also team up with the Michigan State Police to create a hot new set of wheels and Doug gets a big surprise at the new shop. Adam's bought himself a little more time on the 1979 Ford Bronco – but pleasing a Bronco expert's not going to be easy. As Mobsteel prepares to move into their new Detroit shop, Pam's got a big surprise for Adam. Adam's friend swings by with a 1958 Mercury Turnpike Cruiser that's on its last leg. He'll have to do whatever it takes to fix up this rare treasure and keep his most loyal client happy. Meanwhile, Mobsteel steps up their advertising when they strike a deal with the Detroit People Mover. Adam finds the perfect car for his client – a 1956 Chevrolet Bel Air station wagon. It's a sleeper car with a huge surprise, underneath the patina hood is a supercharged motor. Meanwhile, there's work to do as Mobsteel prepares for the grand opening of their downtown Detroit shop. Detroit Steel next episode air date provides TVMaze for you. 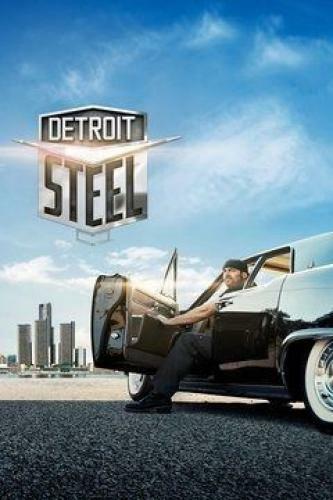 EpisoDate.com is your TV show guide to Countdown Detroit Steel Episode Air Dates and to stay in touch with Detroit Steel next episode Air Date and your others favorite TV Shows. Add the shows you like to a "Watchlist" and let the site take it from there.